The ‘tyranny of default’ in the IT realm is a concept where changes are forced upon users by heavy handedly offering new ways of doing things they were able to do before. 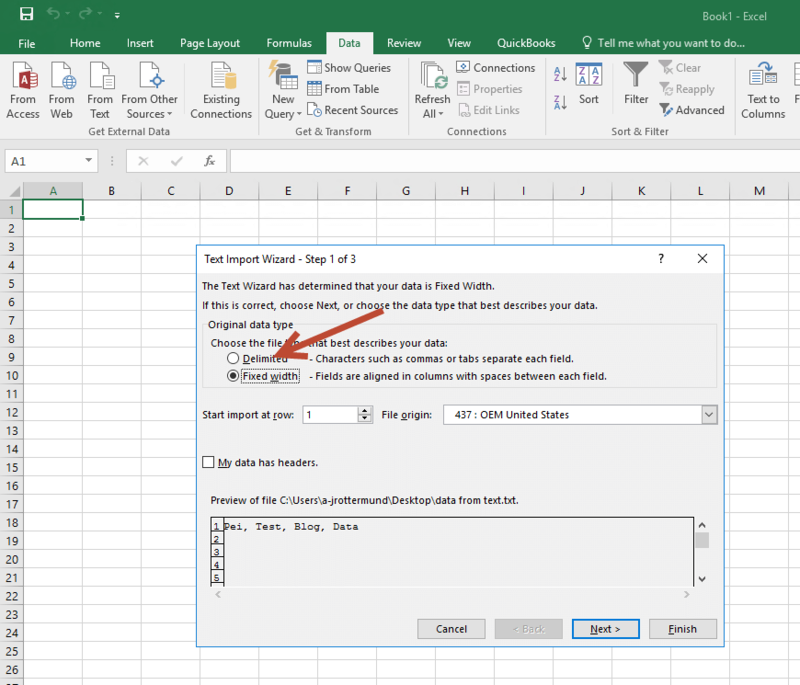 Today on the blog the victim is Excel and the recent (maybe not quite that recent – June 2017 version 1704 ) update to O365 that introduced a new ‘Power Query’ wizard. 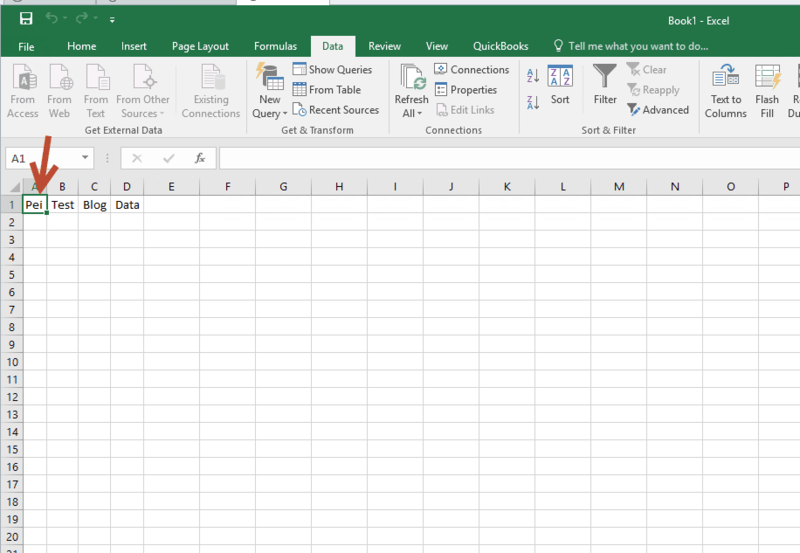 Personally, my use of Excel is limited to parsing CSV files and reading log files, so I find the concept of pivot tables about as exciting as reading Windows Event Log. Bad news is the new wizard replaces the old one, and you will have to do some digging to get this turned back on. Oh it’s in a new spot in the interface too, you’re welcome. Part One: The good old wizard. 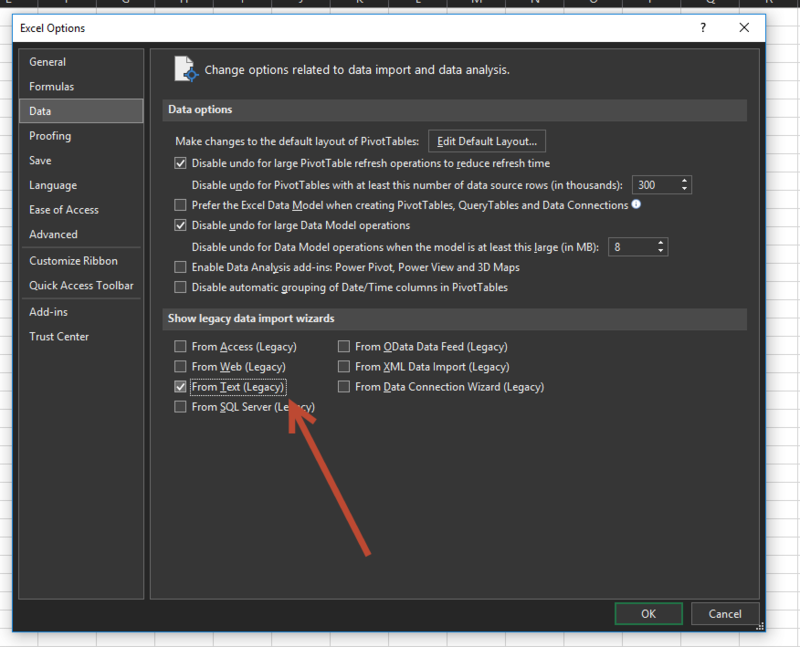 Choose the Data tab from the Ribbon -> From Text in the Get External Data section -> Select File -> Click Import. Switch from Fixed with to Delimited with. I am working with a CSV file here. I chose ‘Comma Separated’ and click through the rest of the default options arriving at columns A B C D containing each word in separate cell as desired. Here is the version of office used in the steps above. Part Two: The new and improved wizard. In order to even see the old wizard again you will need to re-enable it. Go to File -> Options -> Data. 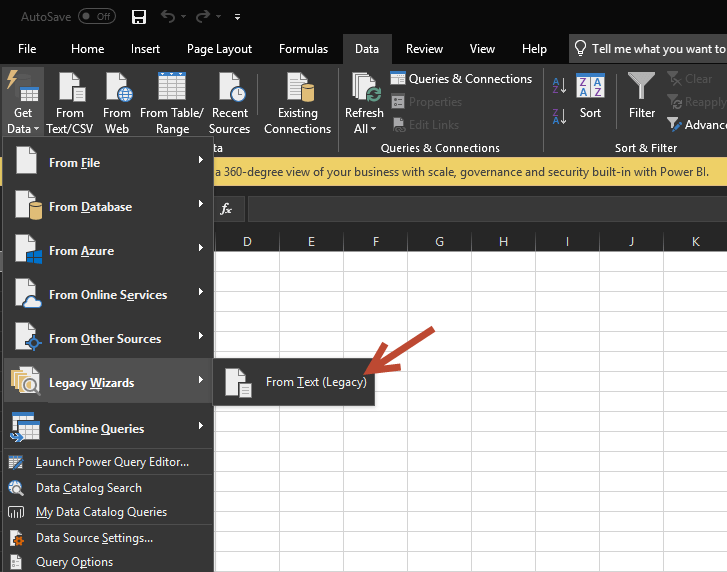 Once you have the wizard enabled, go to Data -> Get Data -> Legacy Wizards -> From Text. Final Thoughts: The old (legacy) wizard is still there and remains unchanged; it’s merely changed its position in the UI. 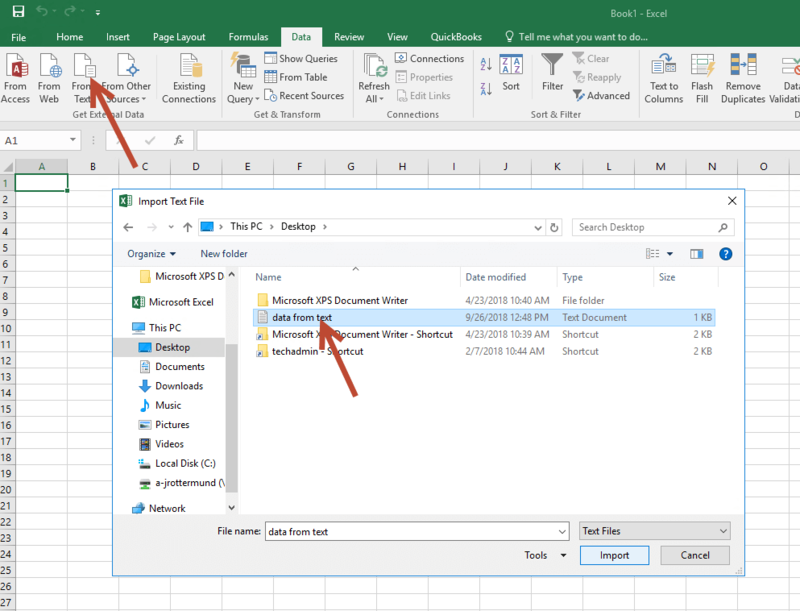 Group Policy ADMX files do not currently exist to manage this setting and re-enable the old wizard, so your users need to take action to get to the legacy wizard. I secretly suspect this is a registry flag that is being flipped, but was not able to find any workarounds to manage this setting. Will update this post if a solution is found.